The winner in Tuesday’s Democratic primary in North Carolina’s 12th Congressional District was Alma Adams, a black state representative from Greensboro. She will, with all certainty, become the next member of Congress … and she also will continue African-American representation in the district that started when Mel Watt first won the newly-created seat in 1992. The question is …what district in the nation has had the longest unbroken representation by black members of Congress? Last week’s question was … who was the last senator who ALSO served as his party’s national chairman AND ALSO sought his party’s nomination for president? 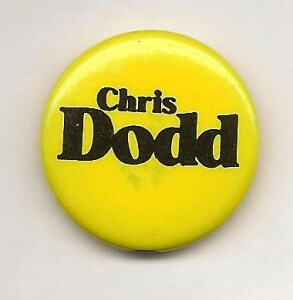 The answer: Chris Dodd. The former Connecticut senator was the DNC’s general chairman from 1995 to 1997 and ran for president in 2008. The randomly selected winner to that one was Carl Fisher of Tigard, Ore. Carl won that fabulous button.